It's awesome to see all of you keeping this thread going by adding photo's for all to see and enjoy. Christmas came early, yay!! Just received my Buck 112 Slim Knife Pro in Canvas Micarta with S30V blade, and a 112 Slim Knife Select in Blue Nylon with stock 420HC, (also comes in black, chartruese, & orange). Both come with a stainless steel deep-carry pocket clip, a crucial selling point for me. Fortunately I get a BCCI "Pro" discount from the factory store, so I got both for far less than can be found anywhere else online. 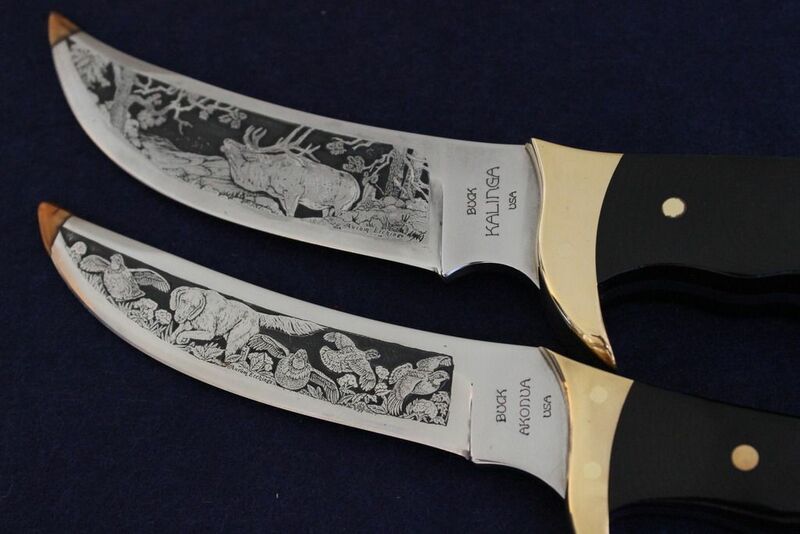 I am thrilled with both knives, the fit & finish is superb and they both fit my hand perfectly. 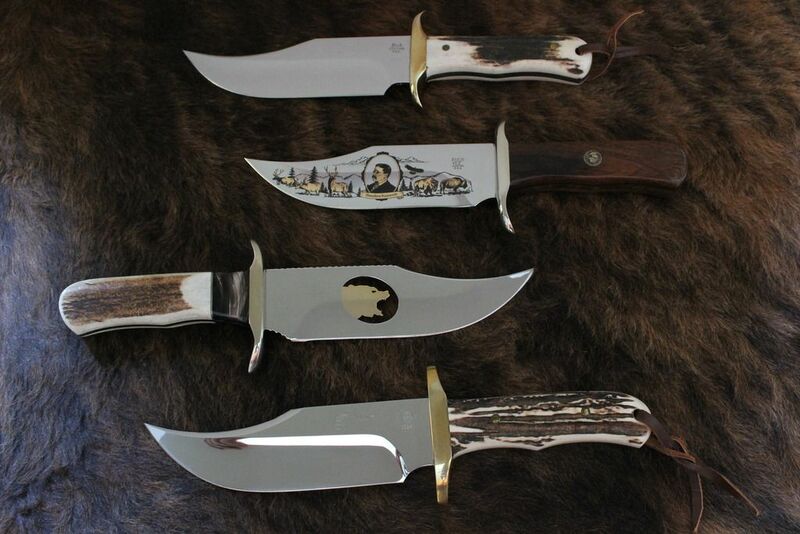 The Pro knife is absolutely splendid, I just love that Micarta handle and the exotic S30V blade, I mean it is a just beautiful knife and a joy to behold, (online photos DO NOT do it justice). I got the Pro to put on display, and the Select to be a user, but I suspect I will slip that Pro in my pocket on special occasions. I considered getting a 112LT, but the pocket clip and handle material/colors convinced me to get these instead. These are my very first 112's, I seriously considered getting the slightly larger 110 versions of these knives, but I am glad I elected to buy these 112's, they are perfectly sized if you ask me. Also, both of these are one-hand opening, another plus in my book. 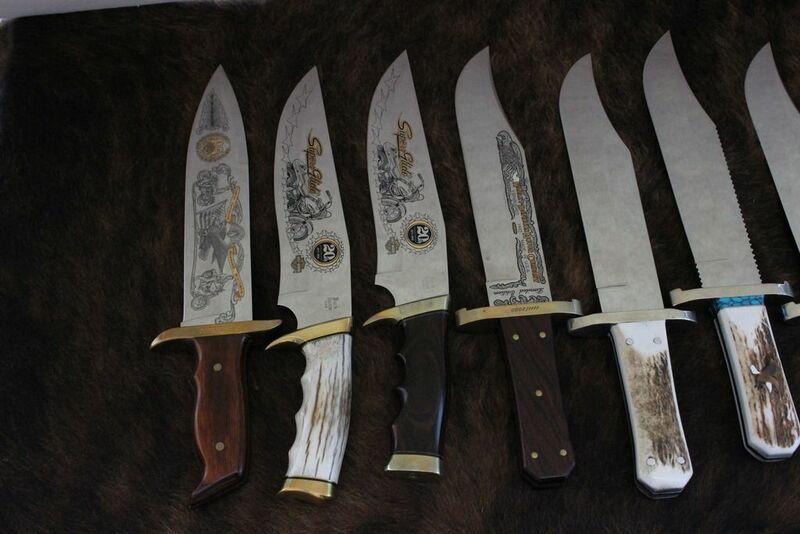 Obviously I am gushing a bit, but you all know how cool it is when you get new knives, so gimme a break. Glad to have a place where I can share my love of knives, and Buck was one of my first loves. This is most of my meager collection. 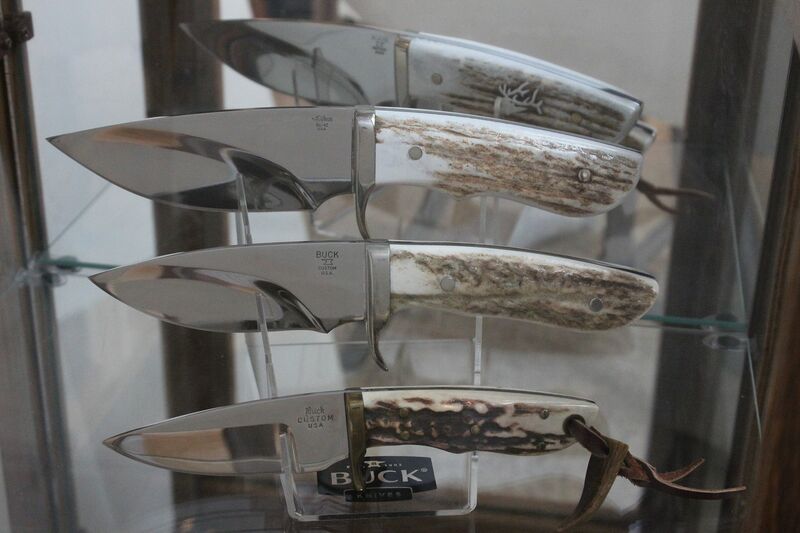 I love Buck Knives and they were my first knife - in high school I carried a 110 and then a 112 when I lost my 110. 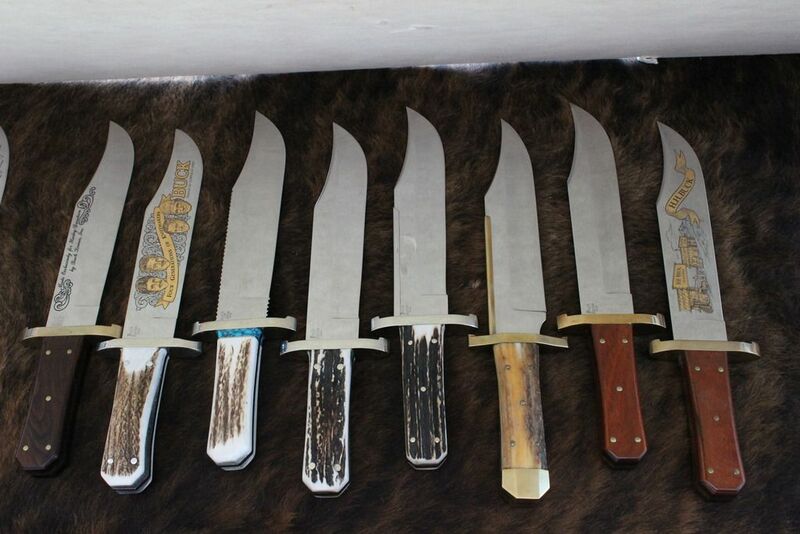 I have a small collection of 110s and 112s along with a few other patterns, and a few David Yellowhorse knives as I met him after his step-daughter attended one of my firearm safety classes! I'll post a few pictures here over the next few weeks. Here is an old warhorse, I believe it belonged to my father-in-law who was a master mechanic on heavy equipment. 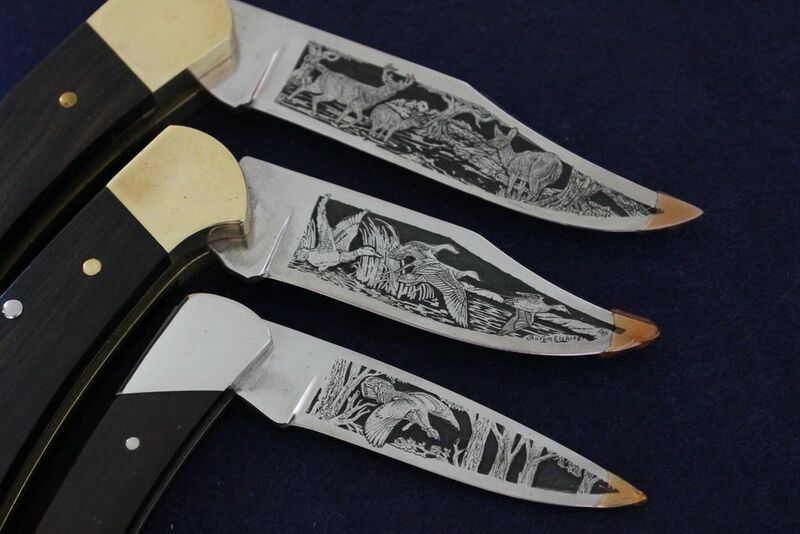 That sir is an example of the very first version of the Buck #301 Stockman, made by Schrade for Buck in 1966 only, (the following year they eliminated the lined bolsters and then moved production to Camillus by 1972, the lined bolsters were a one time only accoutrement. A rare bird, the first of a series, too bad about the secondary blade though.